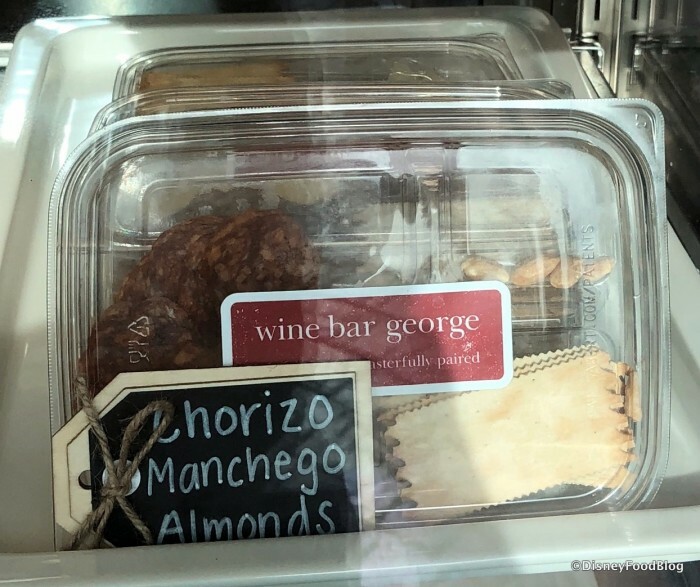 Check out The Basket at Wine Bar George in Disney Springs! Let’s say you’re in Disney Springs and you really want to try some of the wine and cuisine at Wine Bar George. 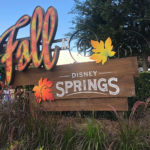 But you’ve only got a limited amount of time to spend in Disney Springs. 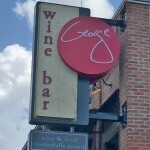 That’s where The Basket at Wine Bar George comes in! The Basket offers a Quick Service component to Wine Bar George — the new wine bar in Disney Springs headed by none other than Master Sommelier George Miliotes. 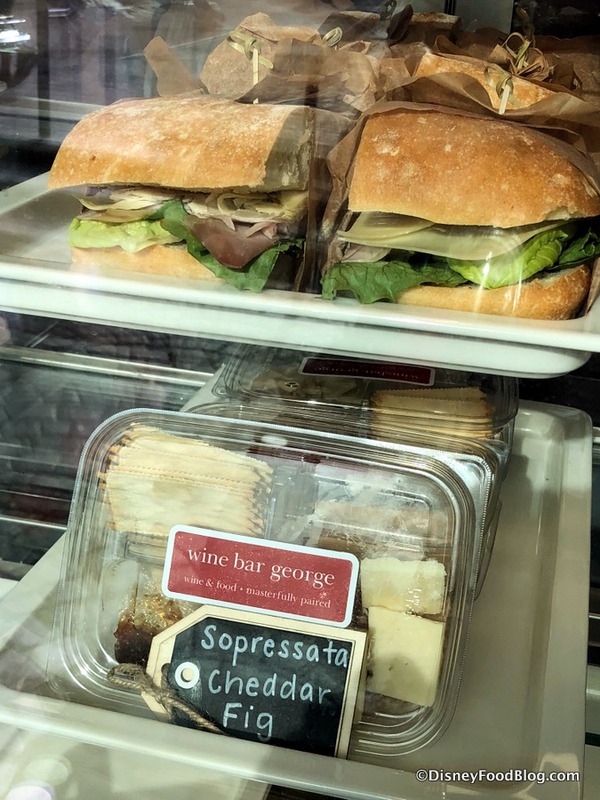 This spot boasts everything you could want to create a picnic “basket” inspired by a Master Sommelier… including wines on tap served by carafe or by the glass! Let’s find out what’s in The Basket! The atmosphere is… well, quite simple! The Basket is essentially a Counter Service window, tucked right underneath the upstairs outdoor terrace seating of Wine Bar George. Just like an actual picnic basket, everything is presented with the intention to go and enjoy wherever you’d like, be it at one of the outdoor tables dotting Disney Springs or back in your Resort perhaps to enjoy on your balcony. Foods are displayed behind a window front-and-center, so let’s take a closer peek! The headliners on the menu are the Picnic Baskets made for two or four guests. The Basket for two ($80) includes olives and hummus, a cheese and charcuterie box, two chocolate chip cookies, a baguette, and a carafe of selected wine. 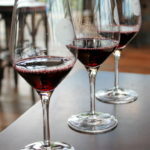 The Basket also includes two Govino glasses and a carafe! 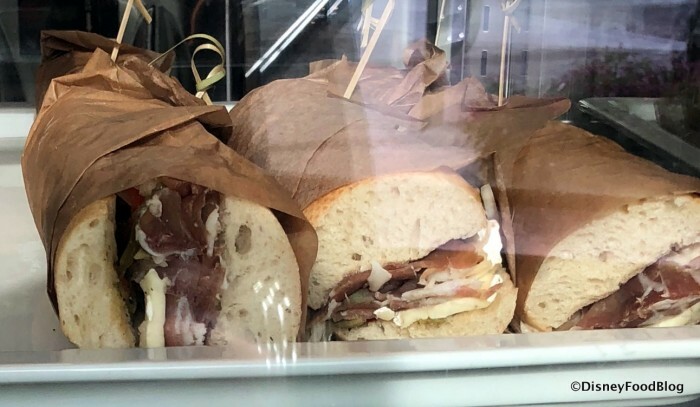 The Basket for four has similar components, but with a choice of two cheese and charcuterie boxes, one sandwich, four chocolate chip cookies, a baguette and carafe. And, of course, the Govino glasses and carafe. 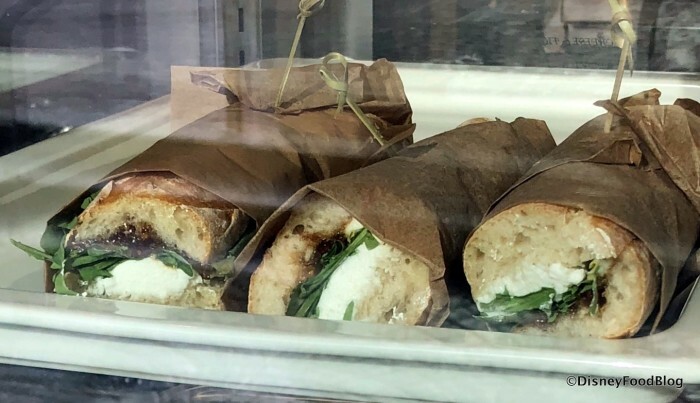 Of course, if you’d rather create your own picnic, you can do so starting with a selection of European-style sandwiches. Options include Goat Cheese, Fig, Arugula, and Ficelle. 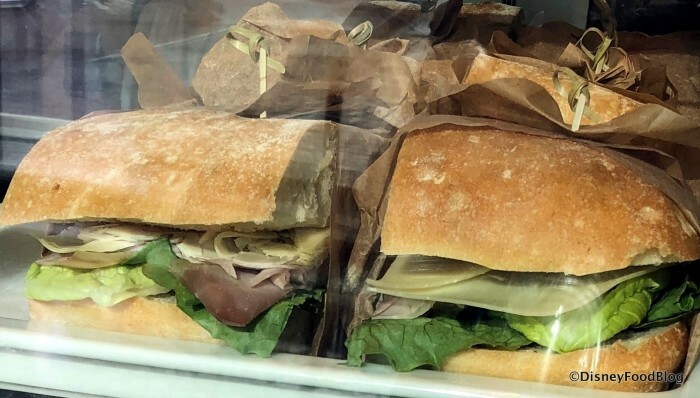 Also available are Ham and Gruyere on Ciabatta, and Prosciutto, Brie, and Olive Salad on a Baguette. Bites and Boxes feature Olives and Hummus and Calabrese, Brie, Honey, and Crackers. Chorizo, Manchego Cheese, Almonds, and Crackers and Sopressata, Cheddar, Fig, and Crackers are the other two choices. Crispy Mac & Cheese Bites are also available at The Basket! 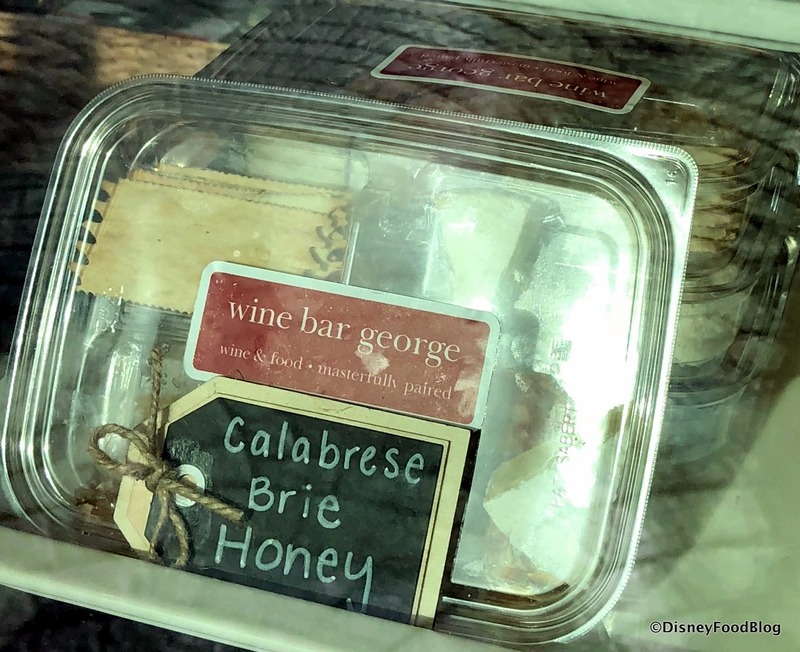 These were one of my very favorite things at Wine Bar George, so having such easy access to them will provide a huge temptation the next time I’m in Disney Springs. Cookies, of course, are the perfect picnic dessert, and your choices are chocolate chip or Rose All Day. 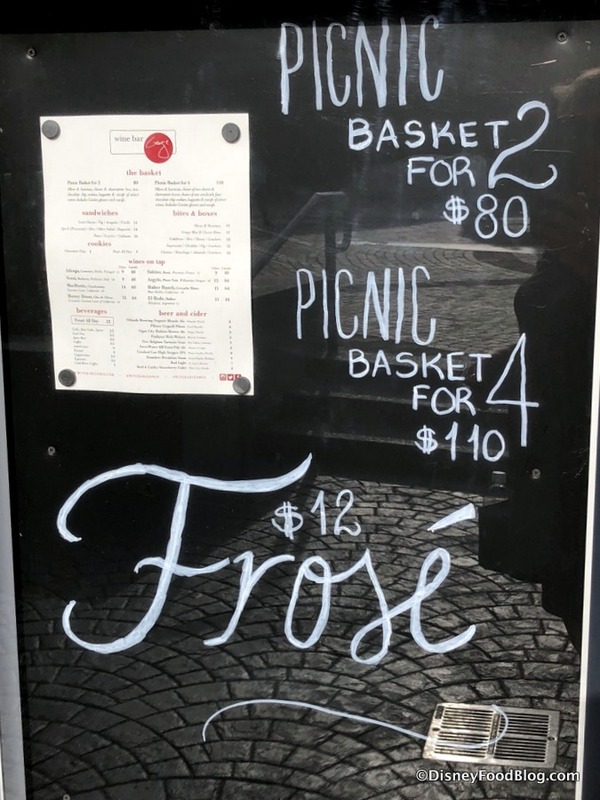 And you can get FROSE ALL DAY, if you’d like, too! Something really neat, I think, about the menu is that it has an evident sense of fun with items like Frose and the Rose All Day Cookie, further emphasizing that Wine Bar George is a spot that’s welcoming to all guests — you needn’t be a wine sommelier yourself to enjoy the spot, and wine novices or those wishing to learn more are very much welcome. 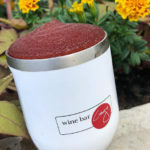 Speaking of wine… Wines on Tap feature a range of to-go glasses from $9 – $15 (or $40 to $64 by the carafe). Selections include Adraga (Portugal), Sabine (France), and Vezzi (Italy) for $9, MacRostie Chardonnay (California) for $14, and Bonny Dune (California), Argyle (Oregon), and Halter Ranch (California) for $15. 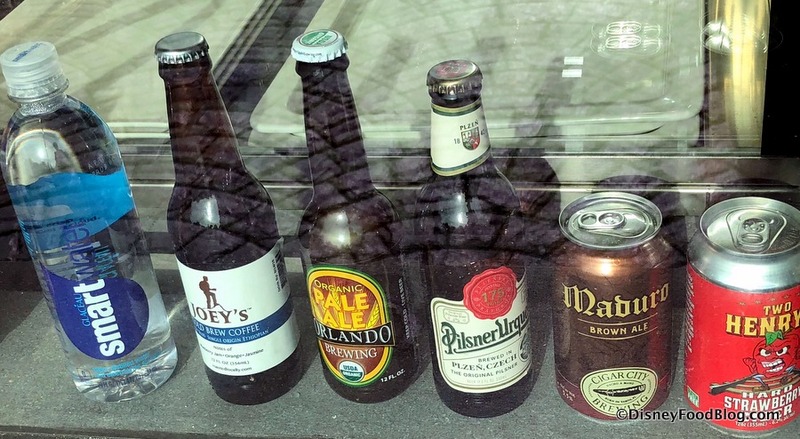 Beer and Cider round out the drink selections. The Basket is such a fun option! 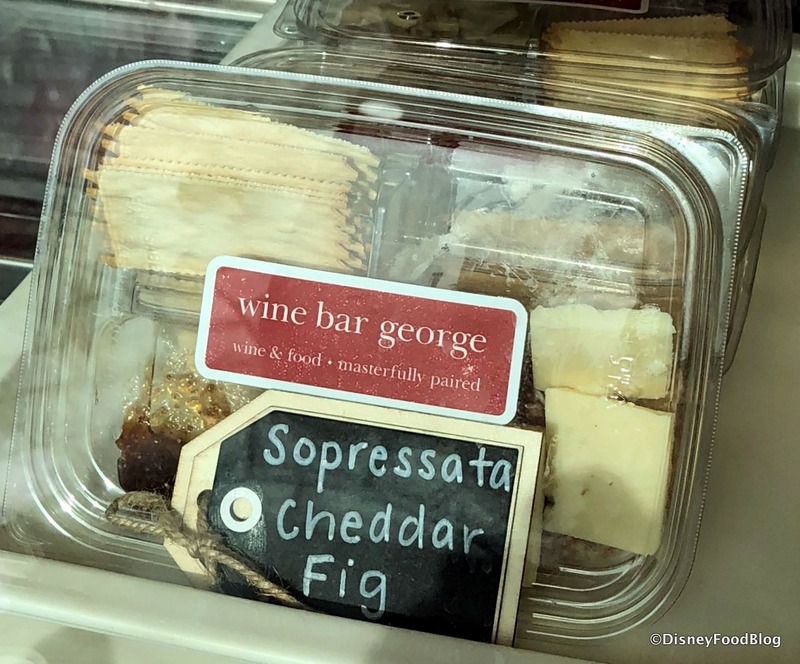 It manages to combine a splurge on specialty items with a laid-back to-go feel, and seems like it could provide a really fun and memorable night in back at the Resort, or just a chance to enjoy some of the higher-end flavors of Disney Springs even if your shopping plans don’t allow much in the way of taking time to dine indoors. 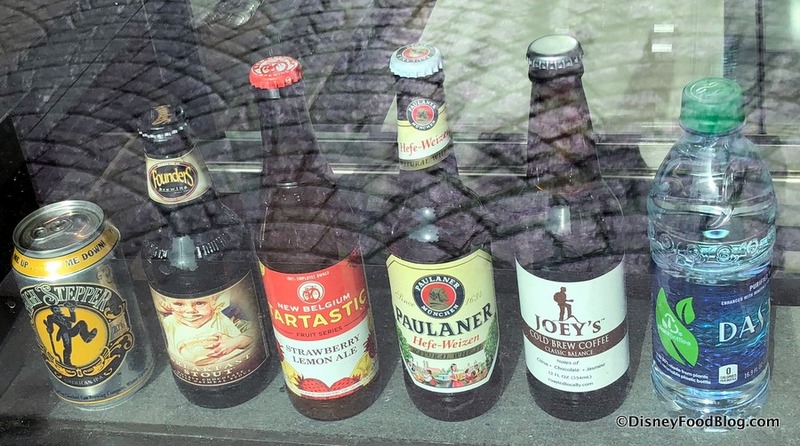 Cheers from The Basket at Wine Bar George! 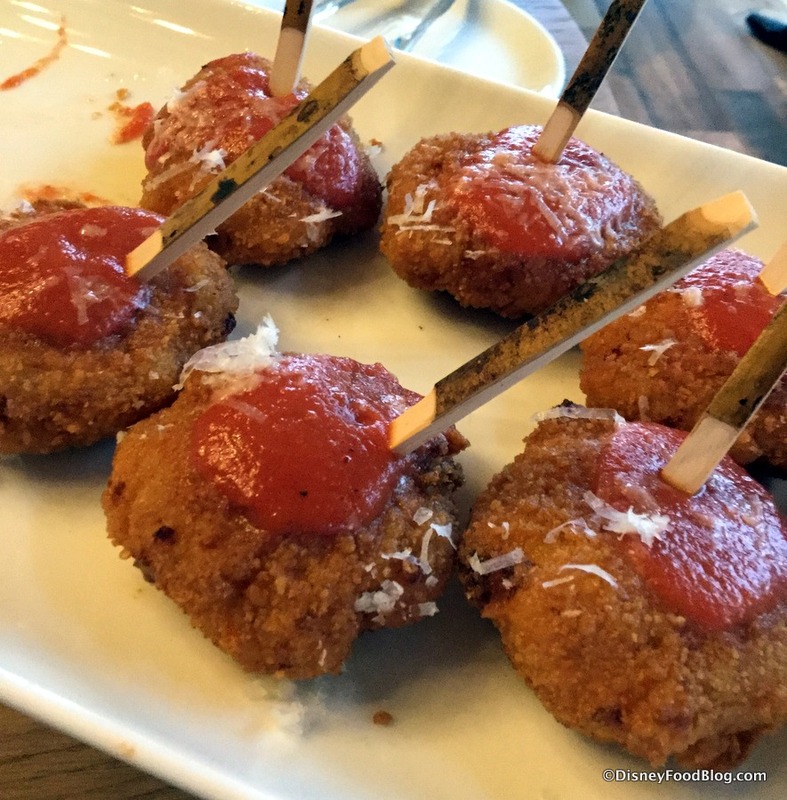 Oh, and find out why those Crispy Mac and Cheese Bites are among the best things I’ve eaten in Disney World recently! 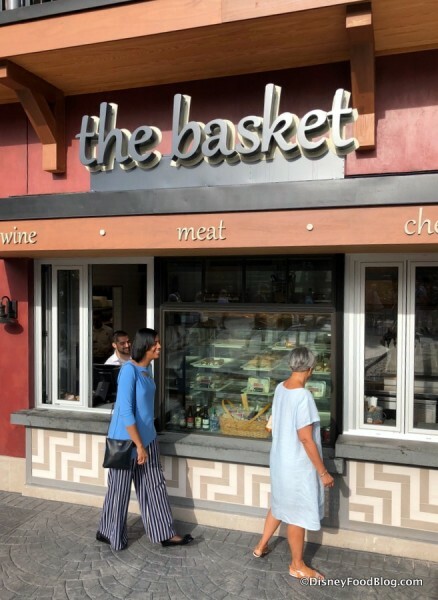 Will you be stopping by The Basket? Please let us know with a comment! Move over Frosé – It’s Freaujolais All Day at Wine Bar George in Disney World! 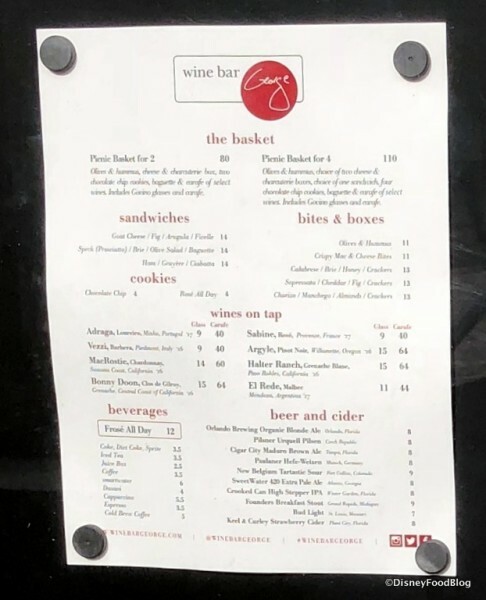 What’s The Basket at Wine Bar George? 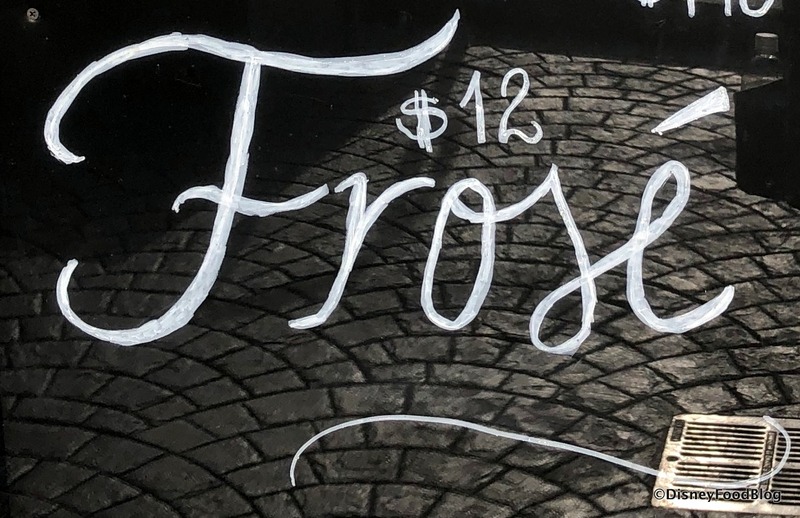 Find Out… AND See the Menu!! !